Your mattress is most always covered by your sheets and so it appears to be spotless and clean sitting in your bedroom, however there can be certain amounts of dust, dirt and other materials that are hiding underneath the surface of your mattress. Regardless of how often you clean your sheets and replace them on your mattress, you will be surprised at the amount of dirt particles, dust, dead skin flakes, dried fluid residue and millions of dust mites that thrive well within the inside of your mattress. The mattress is actually known to carry the largest amount of dust particles and dust mites within your home! Having your mattress professionally cleaned on a regular basis is a great way to improve the quality of living within your home. Your bedroom should be a place to escape from the day to day grinding schedule that you endure and provide a relaxing environment for you. Most people spend at least eight hours a day in their room and most of those hours are spent sleeping on the mattress. It is important to keep the air quality in your room as clean as you can to provide the environment of relaxation that you so desire. Whenever we toss and turn on our beds, fine dust particles from the mattress are bellowed out into the air, which we then inhale while we are sleeping. These old dust particles can be harmful to our bodies if this is occurring on a regular basis. Keeping your mattress cleaned will greatly improve the air quality in your bedroom. If you or a loved one struggle with allergies, then getting your mattresses professionally cleaned is a must. There are so many different types of particles and allergens that can trigger an individual’s allergies. Getting your mattress professionally cleaned will assist in removing these allergens from your home and improving the air quality for those that suffer from asthma and other respiratory issues. If you are attempting to fall asleep at night, but have the thought that you are sleeping on heaps of dead skin flakes or a mountain of dust mites, it can be very difficult to fall asleep and instead begin to creep yourself out. Getting your mattress cleaned by a professional will provide you and your family with the peace of mind that is essential to a good night’s sleep. For a clean mattress, better air quality and a great night’s sleep contact Leading Carpet Cleaning to clean your mattresses. Carpet provides an excellent source of comfort to home owners and makes a house a home. Carpet is inviting, relaxing and beautiful when it is kept clean. Carpet has come a long way from when it began; today’s carpet options offer different lengths, colors, patterns and textures. Carpet back in the day didn’t offer as many options. There are many interesting facts about carpet that home owners are unaware of. One of the most disturbing is that the Norwalk virus, this is the virus that causes the stomach flu, can survive on an unclean carpet for a month or even longer. 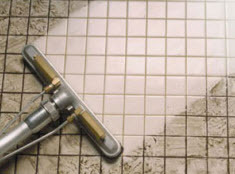 If that fact doesn’t get you calling a professional carpet cleaner then nothing will! The oldest carpet ever found is dated back to over 2000 years old and was discovered in southern Siberia. The need for comfort in a home dates back quite a ways, and although it wouldn’t meet up to our standards of comfort today, it is impressive to see the detail that is in the oldest discovered carpet. The term carpet comes from the Latin term, carpere, which means to pluck. This is because carpets were made from unraveled plucked fabric. Today carpets can come from a variety of different fabrics, providing a high level of softness and durability to home owners. Another more disturbing fact for those who do have carpet in their home is that each year several pounds of soil can accumulate in and under carpet. Carpet that is not regularly vacuumed will accumulate a great deal of soil and dirt that can cause respiratory issues for those residing in the home. The five second rule is a myth and should never be taken seriously. Bacteria can live up to four weeks on a carpet’s surface, and germs like Salmonella are immediately transferred to food when contact is made. This can cause horrible diarrhea and vomiting. Not only do you need to be aware of the amount of dirt, dust, germs and bacteria are accumulating in your carpet, but a person sheds about 1.5 million skin flakes an hour, most of which becomes imbedded into your carpet. With all of these materials falling daily into the fibers of your carpet, it is important to clean your carpets regularly. Not only does dirty carpet make your home look gross, but it also poses serious health risks to you and your family. 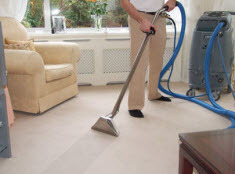 Contact Leading Carpet Cleaning today for clean carpet that will make your home feel fresh and new. With summer coming to a close and the temperatures finally beginning to reach comfortable temperatures, opening the blinds, drapes and shutters to allow sunshine in helps brighten the home without the extreme heat that comes with doing so during the summer time. While letting sunshine into your home provides excellent lighting and a fresh new look, you may be harming the quality of your carpet. As funny as that sounds, it is absolutely true. Sun fading occurs when your carpet or rugs are exposed to sunlight for a significant amount of time over and over again, causing the fibers of your carpet to lighten in color only in the areas exposed to the sun’s rays. This leaves your carpet or rug with an uneven color and even appear to be old and dingy. Fading is a natural and normal process caused by many different factors. The location of your carpet, exposure to light, color intensity and the types of dyes and methods used during the manufacturing of your carpet, these are all factors that affect the severity of the carpet fading. Fading actually starts the very second you place your carpet or rug under natural light, even if you have not yet noticed it, the fading of your carpet or rug fibers has already begun. If you want to keep your carpet and rugs in the best condition possible, then you must take immediate action. The sun can dull the colors of your rug or carpets making them look completely different than it did when you fell in love with it at the store. 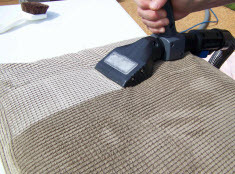 Protecting your carpet or rugs from sun fading is not too difficult and requires simple steps of action. – First begin by placing your rugs out of direct sunlight. Even if the sun can reach your rug, your rug is much safer in the center of the room, opposed to right next to a big window that the sun can shine through. – Be sure to close draperies when you are not home or when natural light is not necessary. If you do not like blocking the sun while you are home, you can still close the drapes while you are away from the home shopping, working or running errands. You can also use protective window treatments like ultraviolet blocking window coatings, which are quite unnoticeable when purchased as the clear version. To keep your carpets and rugs in the best shape possible, contact Leading Carpet Cleaning today!